The Gussy is one helluva good idea for travelers. 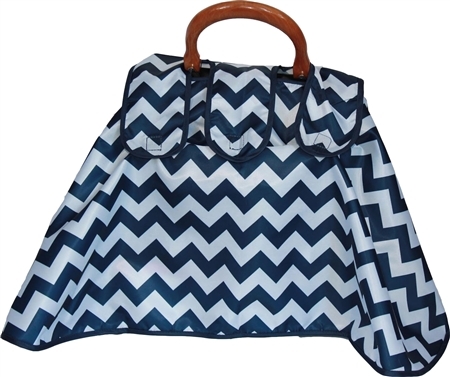 It’s a stylish waterproof rain cover for your purse. The Charlotte and Caroline are made with microfiber and are Durable Water Repellent. The Jenny and Meredith are made with a waterproof laminated fabric. 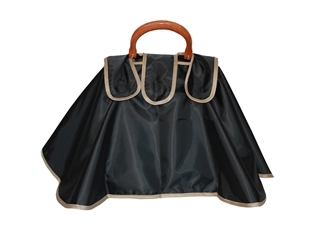 The Gussy is designed for keeping your purse dry when you’re walking to the subway, heading into a restaurant in the pouring rain, etc. but not for long hikes in a monsoon or standing on the bow of a ship during a major hurricane! Care instructions are simple: the microfiber Gussy covers can be machine washed in cold water followed by a tumble dry on low when necessary. The laminated Gussy covers can be wiped with a damp cloth and mild soap.